Inlanta Mortgage is pleased to announce it has been recognized as a Platinum Million Dollar Lender for the USDA Guaranteed Rural Housing (GRH) Program for 2014. More than 414.5 million in GRH funding was delivered to Wisconsin home owners in 2014 according to Wisconsin State Director of the USDA GRH program, Stan Grusyznski. Platinum Million Dollar Lenders are recognized for utilizing more than five million dollars in GRH Loan Funds. Inlanta was one of only twenty-one lenders in Wisconsin recognized at the Platinum level. This USDA GRH program assists approved lenders in providing low- and moderate-income households the opportunity to own adequate, modest, decent, safe and sanitary dwellings as their primary residence in eligible rural areas. Eligible applicants may build, rehabilitate, improve or relocate a dwelling in an eligible rural area. This program enables eligible applicants to purchase a home with no down payment. Applicants must meet income eligibility and subject property must be in eligible area. Apply for a USDA mortgage loan now or find a licensed mortgage loan officer near you. For more information on the USDA Guaranteed Rural Housing Platinum Million Dollar Lender Award, visit the Wisconsin USDA GRH website. Inlanta Mortgage was recently named a Top Workplace for a third time in 2015. Inlanta has been recognized as a Top Mortgage Employer by National Mortgage Professional and a Top 100 Mortgage Banking Company and 50 Best Mortgage Companies to Work For by Mortgage Executive Magazine. 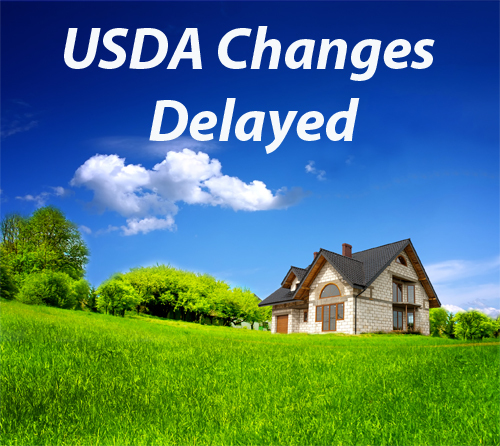 USDA Rural housing announced that the 2013 proposed changes to eligible locations has once again been postponed. This is great news for homebuyers looking to take advantage of this no down payment loan program. One of the most appealing features of USDA Rural Development loans is that you can finance a home with no down payment. 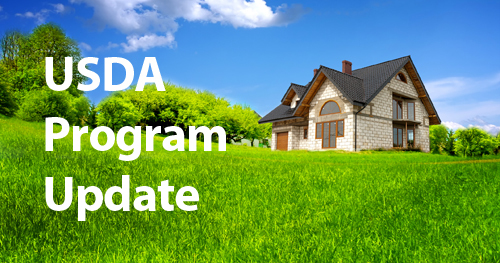 If you have been worried about the changes to eligible property locations, you will be happy to learn that the proposed changes to community eligibility for USDA Rural Development Housing Programs has been delayed. This change was scheduled to take affect October 1, 2013. Barring further Congressional action, current eligible areas for USDA Rural Development’s Housing Programs will remain unchanged through January 15, 2014. In order to utilize the USDA Rural Housing Program, your home must be located in a rural area. 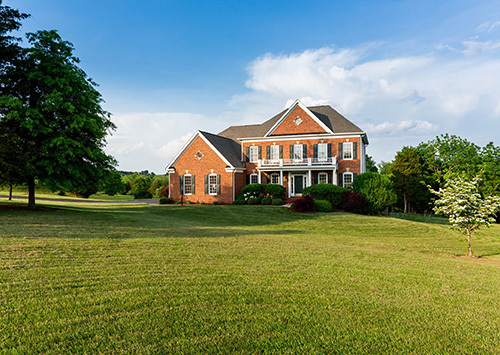 Although the term “rural” might not seem to apply to you – several suburbs and outlying communities of most major U.S. cities meet the USDA property location requirements. 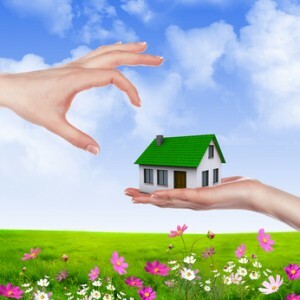 Check your property eligibility here: Rural Housing Property Eligibility. The proposed changes, referenced above, would have reduced the number of eligible communities. Due to the delay, many potential home buyers still have the opportunity to utilize the USDA loan program. The U.S. Department of Agriculture has extended the USDA Rural Development program until September 30, 2013. Areas that were eligible for USDA financing (Single Family and Multi-Family Housing Programs) on September 30, 2012, will remain eligible until September 30, 2013. On October 1, 2012, the USDA was expected to revise its definition of “rural”. This revision would have made USDA rural development loans more restrictive. Eligibility would have been limited to communities with a population less than 20,000 not located within a MSA (metropolitan statistical area). Half the rural population in America lives within a MSA and would be ineligible for the USDA rural development loan program if this change had been implemented. Communities in Wisconsin that could be affected if the change is implemented later this year include: Burlington, Hartford, Muskego, Port Washington, Portage, River Falls, Stoughton, Sussex, Vernon, and Waunakee. A very large number of Florida communities could be affected as well. Need more information on the USDA rural development loan program? Consult a licensed mortgage loan professional near you. Use our branch locator to find a local Inlanta Mortgage office. One Inlanta Mortgage loan officer has been recognized among the nation’s Top Originators in 2012 for her efforts to help borrowers with the USDA Rural Development Program. Laura Leonhard, branch manager in Marshfield, Wisconsin was recognized in a recent release by Scotsman Guide. Laura has been recognized as the #1 USDA Lender by volume in the country. The U.S. Department of Agriculture announced last week that USDA Rural Development program has been extended until September 30, 2013. Areas that were eligible for USDA financing (Single Family and Multi-Family Housing Programs) on September 30, 2012 will remain eligible until September 30, 2013. On October 1, 2012, the USDA was expected to revise its definition of “rural.” This revision would have made USDA rural development funding more restrictive. Eligibility would have been limited to communities with a population less than 20,000 not located within a MSA (metropolitan statistical area). Half the rural population in America lives within a MSA and would be ineligible for the USDA rural development loan program if this change had been implemented. Need more information on the USDA rural development loan program? Consult a licensed mortgage loan professional near you. One Inlanta Mortgage loan officer has been recognized among the nation’s Top Originators 2012 for her efforts to help borrowers with the USDA Rural Development Program. Laura Leonhard, branch manager in Marshfield, Wisconsin was recognized in a recent release by Scotsman Guide. 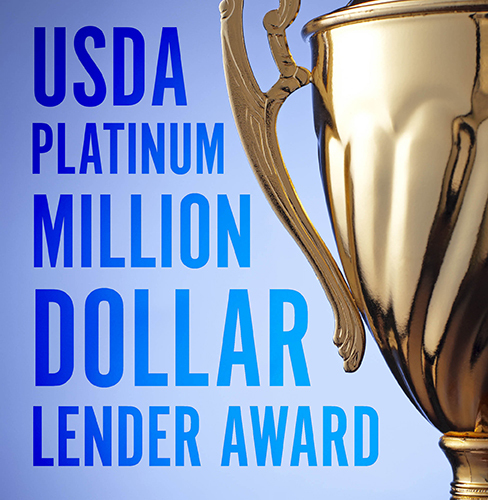 Laura has been recognized as the #1 USDA Lender by volume in the country. 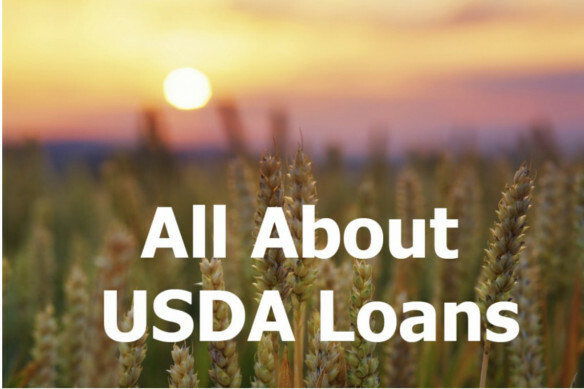 What’s So Great About USDA Loans? The USDA rural development loan program is a program designed to make rural housing more affordable. USDA loan program eligibility depends upon applicant income and the purchase property location. 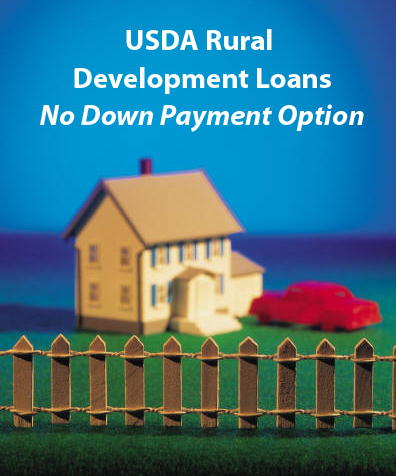 With USDA rural development loans, you can finance 100% of the home value with no down payment. On October 1, 2012, the USDA was expected to revise its definition of “rural”. This revision would have made USDA rural development funding more restrictive. Eligibility would have been limited to communities with a population less than 20,000 not located within a MSA (metropolitan statistical area). Half the rural population in America lives within a MSA and would be ineligible for the USDA rural development loan program if this change had been implemented. These changes are now delayed until March 27, 2013. Communities in Wisconsin that could be affected if the change is implemented next March include: Burlington, Hartford, Muskego, Port Washington, Portage, River Falls, Stoughton, Sussex, Vernon, and Waunakee. A very large number of Florida communities could be affected as well. For a complete list of communities that may potentially be affected by tighter rural development eligibility restrictions click here. How do I check if my home is USDA / Rural Housing-eligible? With the USDA Rural Housing Program, your home must be located in a rural area. However, the USDA’s definition of “rural” is quite liberal. Many small towns meet the USDA requirements, as do suburbs and exurbs of most major U.S. cities. Click here to check your home’s USDA loan eligibility. What mortgage products are available with a USDA mortgage? The USDA / Rural Housing Program offers 30-year fixed rate mortgages only. There is no 15-year fixed rate mortgage and no adjustable-rate mortgages. Inlanta Mortgage is a multi-state mortgage banker based out of Brookfield, Wisconsin. NMLS# 1016. Inlanta Mortgage was named a 2012 Top Workplace in Southeastern Wisconsin. 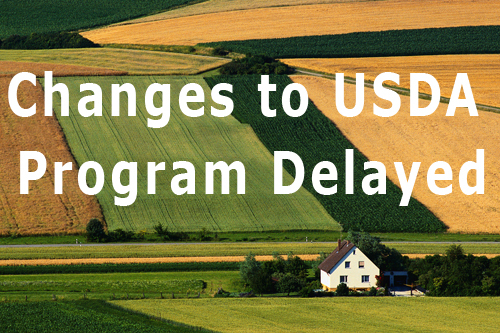 The U.S. Department of Agriculture announced this week that changes to the USDA rural development loan program scheduled to take place on October 1st will be delayed until March 27, 2013. This is great news for rural home buyers looking to taking advantage of record low mortgage rates. Communities in Wisconsin that could be affected if the change is implemented next March include: Burlington, Hartford, Muskego, Port Washington, Portage, River Falls, Stoughton, Sussex, Vernon, and Waunakee. A very large number of Florida communities could be affected as well. For a complete list of communities that may potentially be affected by tighter rural development eligibility restrictions click here. Are you house shopping in a rural community? Click here to determine if your property is eligible. What is a USDA Rural Development loan? The USDA rural development loan program is overseen by the U.S. Department of Agriculture and is designed to make rural housing more affordable. With USDA rural development loans, you can finance 100% of the home value with no down payment. Income restrictions apply and loans are 30-year fixed rate mortgages. Eligibility for the USDA rural development loan program is also dependent upon property location. Currently, communities outside of a metropolitan statistical area (MSA) qualify as long as their populations are below 20,000, and inside a metropolitan statistical area as long as their populations are below 10,000. Communities with more than 10,000 people in metropolitan statistical areas would not qualify but for the grandfather clause, which said that communities that were eligible before the 1990 census would remain eligible until Oct. 1 as long as their population remained under 25,000. On October 1, 2012, the USDA must revise its definition of “rural” as that grandfather clause first enacted in 1990 and extended in 2000 – will expire. This revision will make USDA rural development funding more restrictive. Eligibilty will be limited to communities with a population less than 20,000 that are not located within a MSA. Half the rural population in America lives within a MSA and will therefore be ineligible for the USDA rural development loan program. Communities in Wisconsin that could be potentially be affected include: Burlington, Muskego, Port Washington, Portage, River Falls, Stoughton, Sussex Veron, and Waunakee. A large number of Florida communities could be affected as well. For a complete list of communities that may potentially be affected by tighter rural development eligibility restrictions click here. Congressional action would be needed to extend current elibility requirements – but you can still take advantage of less restrictive USDA rural development eligibilty criteria. Click here to determine if your property is eligible. Inlanta Mortgage is a multi-state mortgage banker based out of Brookfield, Wisconsin. NMLS# 1016. Inlanta Mortgage has recently earned the distinction of being named a 2012 Top Workplace in Southeastern Wisconsin.